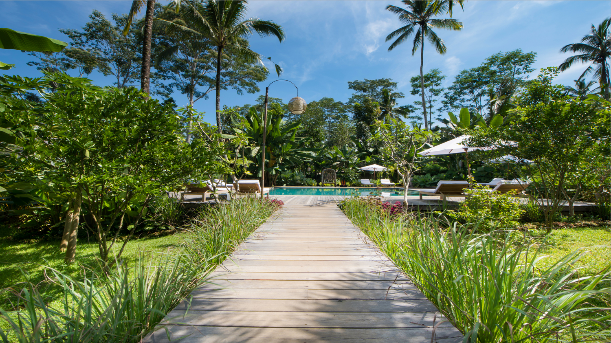 Have you been thinking about taking the tribe to Bali on a holiday but you’re not sure where to stay? 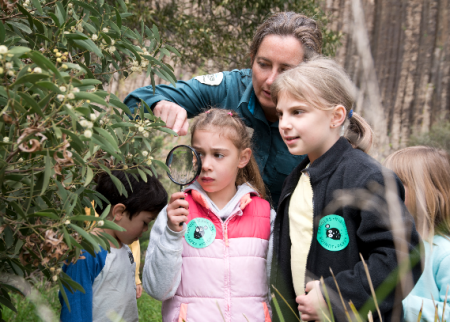 With so many options available, it can be hard to tell what’s family friendly from the less suitable stays. That’s where the team at villa-bali.com are a dream come true for families travelling to Bali. 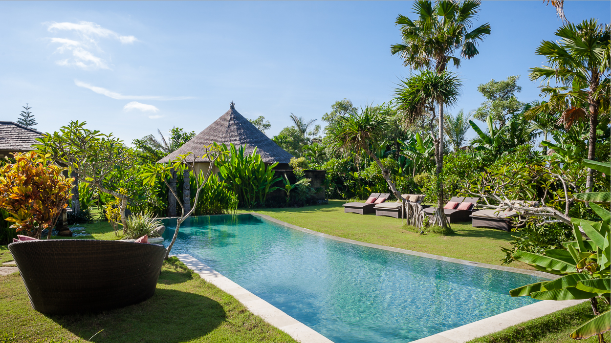 Villa-bali.com are more than just an accommodation website – they act as your guest relations concierge to ensure your stay is tailored exactly to your tribe’s needs. If you need a baby sitter, they will book it! If you have food requirements or allergies, they can help you find what you need in Bali. With over 600 villas to choose from in Bali, they have something to suit every family. Prices range from as affordable as $113 per night to more luxurious properties for bigger groups and every villa on their books has been inspected and approved by their team. They will even organise your airport transfers for you! We have found the best villas in 3 of Bali’s most popular destinations for tribes. 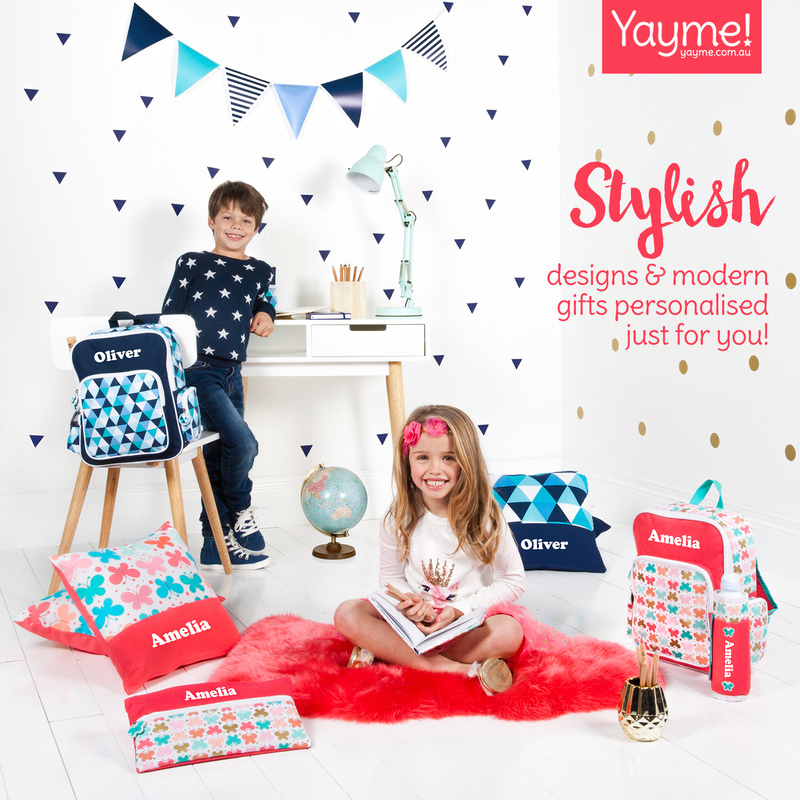 Have a look at our top picks. All prices are quoted in Australian Dollars. Seminyak is the tourist hub of Bali, known for being the hotspot for restaurants, bars and boutique shops. There are also a number of beaches and beach clubs in Seminyak. This is also a good place to explore Bali for first-timers because of its convenience. From Seminyak, you can take day-trips to places like Ubud, Canggu, or try your hand at diving and other activities. 3 Bedrooms, Sleeps 6, $333 per night. 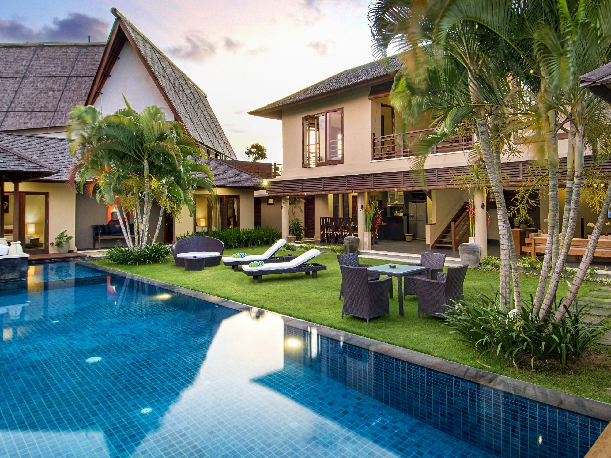 This tropical oasis has its own lotus pond and private pool with daybed. 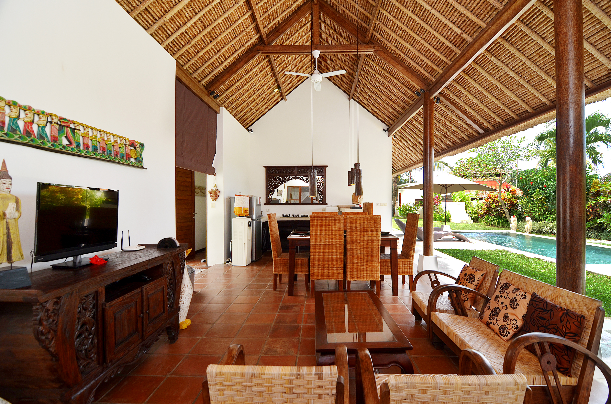 This gorgeous villa is located in the heart of Seminyak and is a short walk to Double Six Beach. Staff tend to the villa daily to ensure it is clean and linens are fresh. This chic modern villa includes a large pool with a shallow end for the kids. It has a luxurious master suite with bathtub and is located in the up and coming district of Petiteneget where you will find high-end restaurants and shopping. 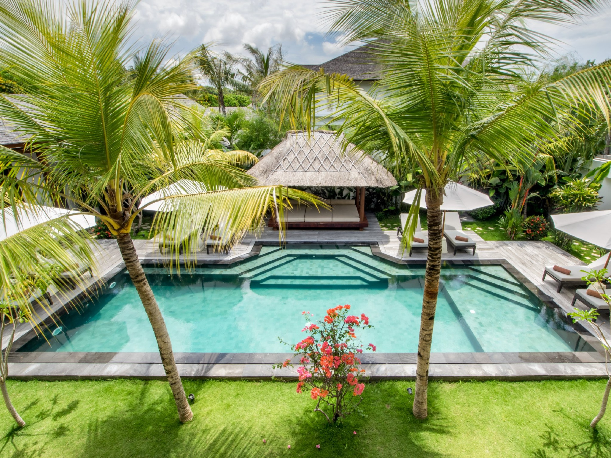 This gorgeous holiday retreat oozes traditional Balinese charm and is located in the centre of Seminyak, only a stone’s throw from Oberoi’s Eat Street. 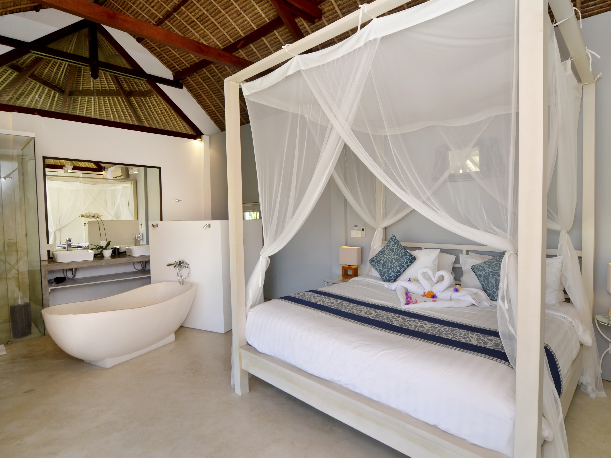 Featuring 6 bedroom suites, including an amazing kids room with 4 bunk beds, the tribe will love staying in this villa. Ubud is the culture hub of Bali, popular as a yoga, health and wellness centre and packed with healthy cafes. You will also enjoy the rice fields surrounding the villas and tribes must visit the famous Ubud monkey forests. 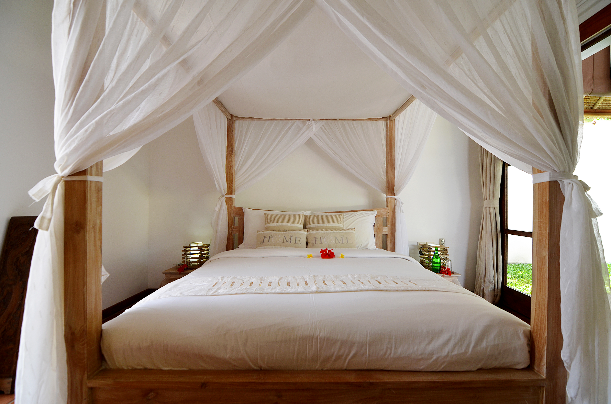 This large 3 bedroom villa is nestled in a quiet village near the town of Ubud. Boasting a private pool and garden with outdoor shower, plenty of time will be spent relaxing in this gorgeous retreat. This child friendly villa comes with staff who will help make your holiday even more relaxing by bringing your groceries in for you. This beautiful home has stunning views of the Ayung River, surrounding rice fields and the Sayan Ridge. It features a unique loft style barn with a cave bathroom, and you can arrive at your villa by a gondola from the parking area. There is a gorgeous infinity pool overlooking a jungle gorge making this the ultimate holiday retreat for nature lovers and those looking for a serene get away. 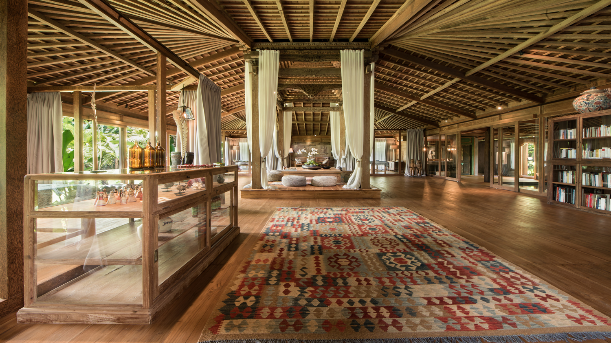 This huge elegant residence is the ultimate destination for relaxation and meditation. Tucked away in an authentic Balinese village, this lavish property delivers a rejuvenating traditional holiday in Bali. Enjoy fresh produce from surrounding paddy fields or the fruit growing in the grounds of the villa. Canggu has nice beaches and is a popular spot for surfers. There are kids clubs, chic and healthy cafes in the area. Canggu is famous for its rice fields. This peaceful oasis is the perfect place to reconnect with the family. 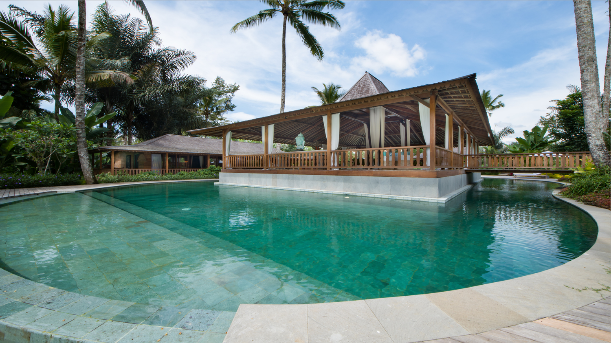 It includes traditional Balinese pavilions surrounding the swimming pool. 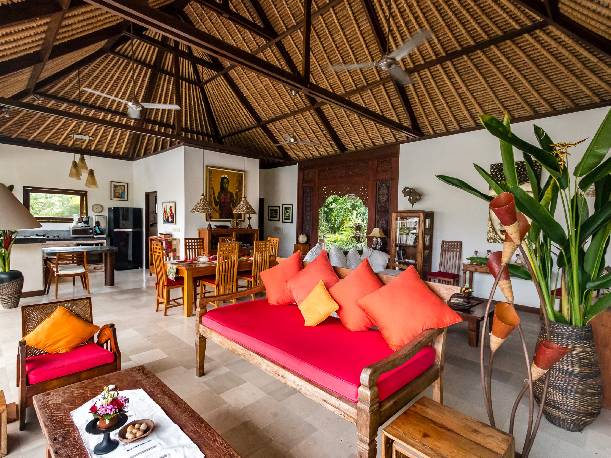 Beautifully decorated and designed with soaring ceilings, this home is a jewel in the Canggu region. 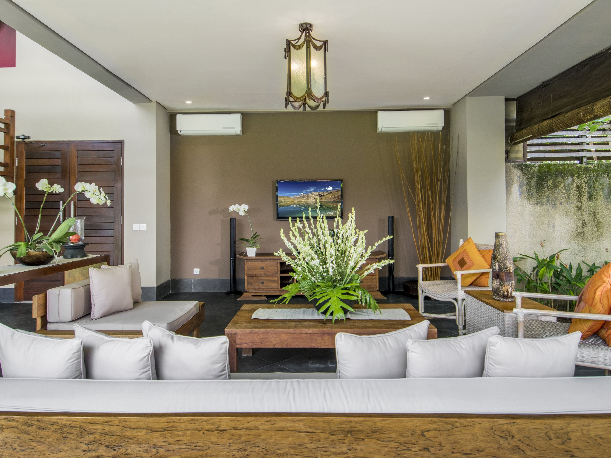 Located in the serene village of Padonan in Canggu, this contemporary retreat boasts sprawling tropical lawns, a private pool and indoor/outdoor living spaces. A short walk from the villa will take you to restaurants and bars and a quick drive will reach 2 beaches, with beach clubs packed with activities for the kids. This two-storey pavilion features a downstairs bedroom with king sized bed and its own private terrace and outdoor bathroom. Set in the middle of the garden there is a separate round house offering privacy and additional accommodation for group get aways. Set in 1700sqm of lush gardens, there is plenty of outdoor space to enjoy including outdoors dining and barbecue area. You can also enjoy a home cooked meal by the villa’s chef. This is a sponsored article for villa-bali.com.